Gold price tumbled a two year on Monday, global investor says that US economy flocked to equity market the possibilities of several struggling European country, including Cyprus also contributed to fall in yellow metal, India’s gold continuously fall in near 24% in the last quarter through March. Analyst are unwilling to stick future value of gold , Gold should stabilized at the level of 25000-26000. 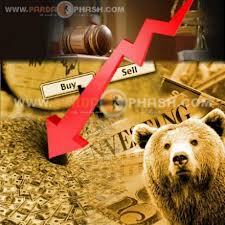 Today in Bse market it open with a benchmark note it was up by 140 points and now traded at 18560.